PLEASE NOTE: THIS APPLICATION IS ONLY FOR MACS. 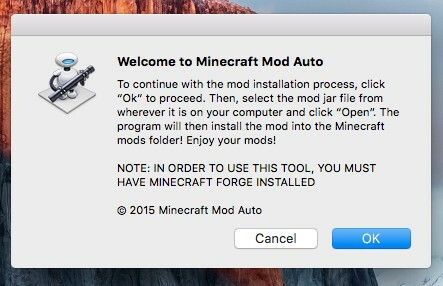 AND YOU MUST HAVE MINECRAFT FORGE INSTALLED BEFORE USING THIS APPLICATION. 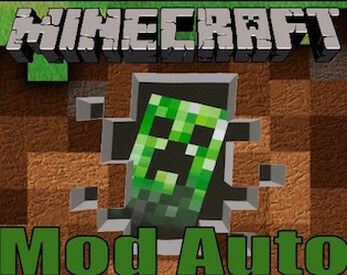 NOTE: GUINEA STUDIOS NOR MINECRAFT MOD AUTO IS AFFILIATED WITH MOJANG OR MINECRAFT IN ANY WAY. WE ARE NOT OFFICIAL, AND WE DO NOT CLAIM TO BE MOJANG OR MINECRAFT. Ugh, this would be good if you could make this a game so we can play?